The news item ten days or so ago that Racing for Holland was switching to a Judd 5 litre engine for Le Mans, in the Dome hybrid, caused a few worrying thoughts among those who avidly follow Jan Lammers’ adventures at Le Mans every year, but just past the middle of May, the transition is very much on course. The evolution version of the GV5 has had a cracking start to the year, and Lammers is looking forward to having Judd power behind him at Le Mans again. Will the #14 Dome be the only entry driven by three genuine ex-F1 drivers? 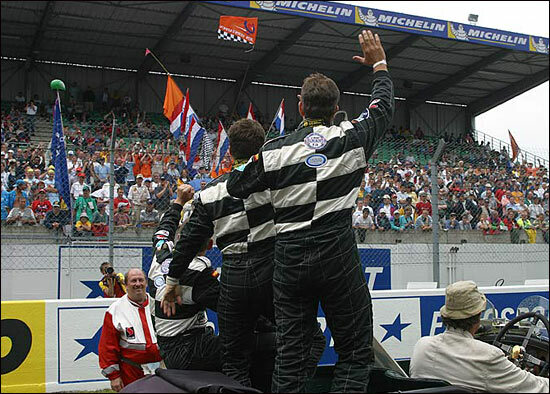 Driver nominations don’t need to be confirmed until scrutineering during Le Mans week, but we believe Jan Lammers, Alex Yoong and Stefan Johansson will be the only ex-F1 trio in the race – and two of them in particular have massive Le Mans experience (including a win apiece of course). This could be another great Lammers-at-Le-Mans story.